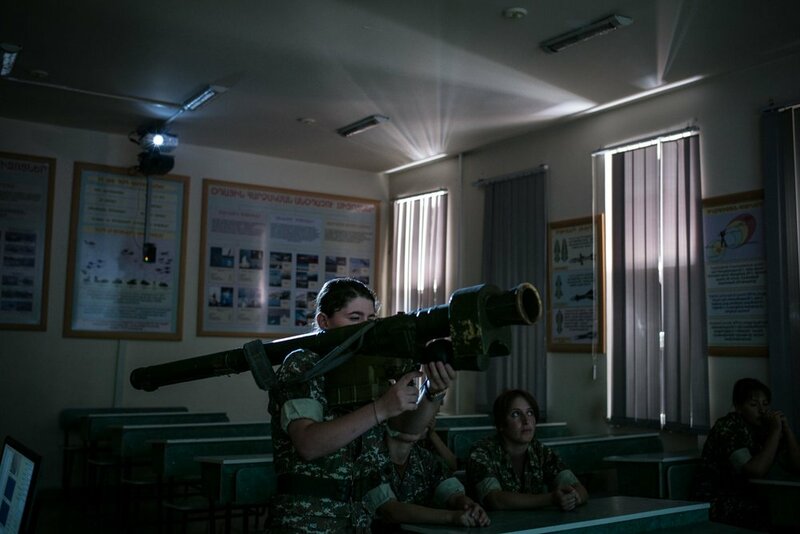 When Seda Sedyan, a slight, serious 21 year-old, picks up her gun during target practice at Yerevan’s military academy that trains officers, she tries to imagine she’s facing the enemy. “It helps if you imagine you’re shooting someone”, she explained. Somehow it made it easier to concentrate, she said. Seda, for one, is determined not to give in: One day, she is sure, she will be serving on Armenia’s frontline with Azerbaijan. And then, if needs be, she won’t be afraid to shoot to kill. “Women can be cold-blooded, if we have to”, she says.